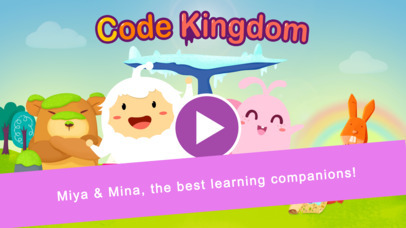 In Code Kingdom, children go on adventures with fun characters that help them develop a strong interest for programming and will allow them to become a Junior Programmer. 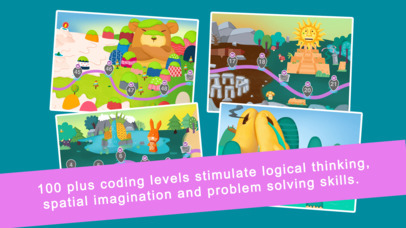 In this game, children can experience the concepts of spatial imagination and logical operations, as well as algorithmic thinking skills. Our belief is that “to grow, one must keep moving forward”. For children, this concept should apply to both the game and their real life. A captivating treasure hunt story. New levels unlock according to how much you’ve learned. Challenging game scenarios. 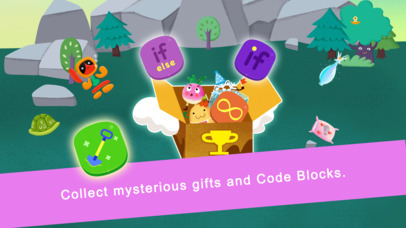 Children can use programming knowledge to solve puzzles. 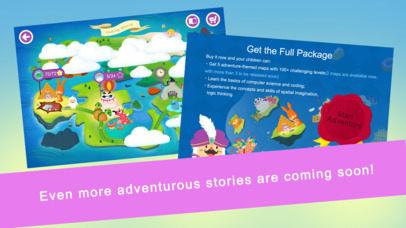 A well-designed game and interactive experience for children. It allows them to quickly understand how to play, and enjoy at the same time! 5 adventure-themed maps, where interesting stories unfold. 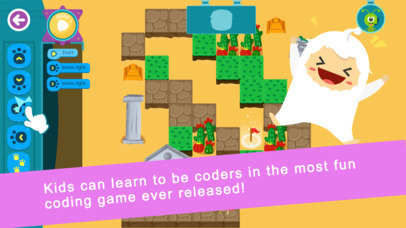 A Step-by-step curriculum that covers basic programming concepts and skills.